The location was from the back deck of my home in Bethesda, Maryland. The "Take It!" came from getting up early on one of my day's off and having the chance to leisurely observe a near full moon give way to an arriving sun. All of this illumination being cast upon fresh snow that had been falling starting in the afternoon before and finishing in the very early morning. 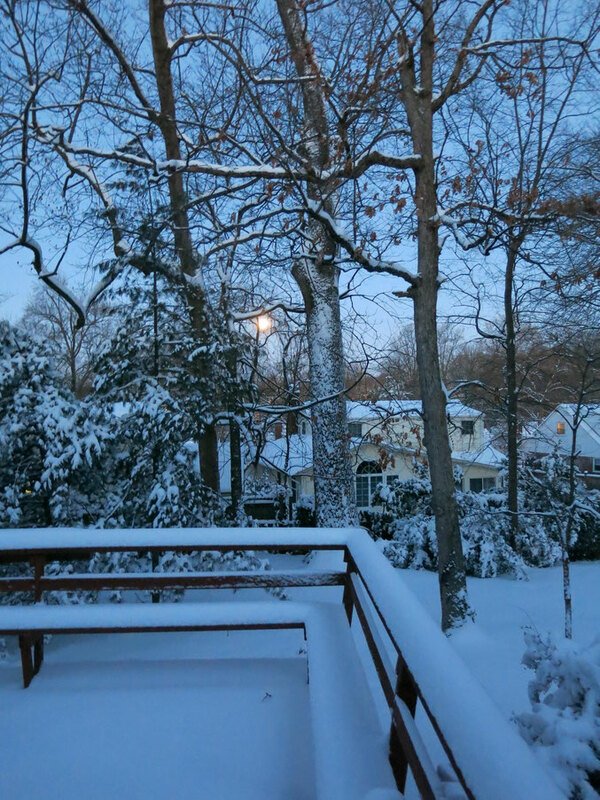 There is a peaceful beauty found in moonlight and especially in the contrast of the shadows that are non the clean white snow canvas that nature also can provide. 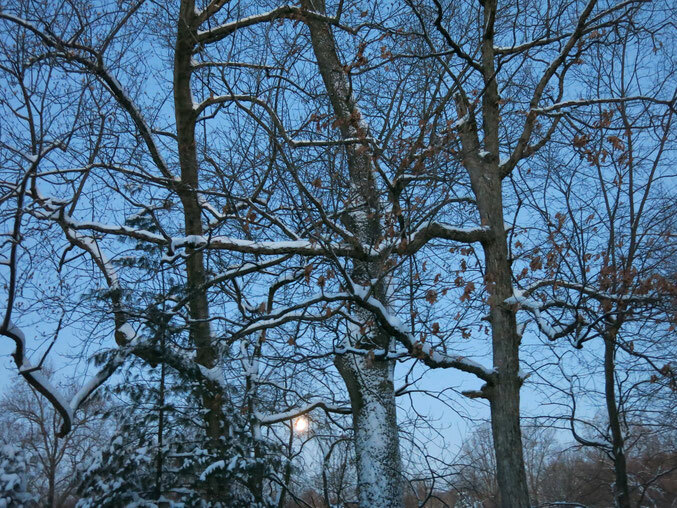 Night time photos without flash assist are hard for my camera to take - so had to wait for this time to get clarity of the moon between the trees and not yet have the intensity of a full sun rise. Even though spring has arrived, this was hopefully the last blast of winter. The season was thankfully not been as severe as it has been elsewhere. Here is hoping you take time to enjoy moonlight - whatever the season may be. Update 4/20/15: We recently received some back end upgrades to our website and experienced some downtime during the process. It was clear not many, if any of you, got a chance to see this photo while it was featured on our home page. We decided to extend its time as the featured photo for a few more days. We apologize if you experienced any trouble reaching the site last week. The top photo is just beautiful. I wish I could make it work as my desktop background, but I cannot seem to get vertical pictures to work for backgrounds. Well this is a relief. I am glad you guys posted the update note to this. I came here a couple of times last week trying to post a comment but the website wouldnt let me. Then when a new pic didnt go up over the weekend we were concerned. The downtime and upgrades explain that. Great pics! Congratulations on your website upgrade. Jim and I are glad you guys are back!! I couldn't comment the other day when I tried. Crossing my fingers it works this time. Are you glad winter is over? Ive never experienced this temperament and I dont think I could handle it. Absolutely gorgeous! Stunning photography, you should be proud of this series. Looks like you got a few inches. We do not get any snow here in March, our last freeze is usually around mid February.